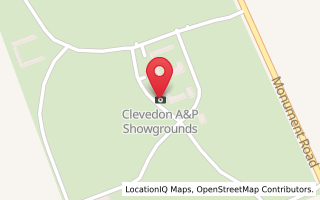 Clevedon Pony Club runs under the national guidelines of the New Zealand Pony Club Association. The manifesto of rules and regulations is available on the NZPCA website. Clevedon Pony Club abides by the New Zealand Pony Club Association's Code of Conduct. It is the sole responsibility of the parent to ensure junior riders have adequate supervision when riding on Pony Club Grounds on days other than rallies. No jumping without supervision. All riders aged under 18 years must be accompanied by a parent or caregiver who remains on the grounds at all times during rallies. All riding at rallies must be carried out under the supervision of an instructor or other authorised person. No one may ride in a reckless or dangerous manner and all riders must regard the safety of others at all times. Parental assistance is always welcome. Approved safety hard hats MUST BE WORN AT ALL TIMES when riding on Pony Club grounds or on the road. Check the NZPCA website for safety approved numbers. Helmets must be tagged as safe for use (this can be done at the club). Pony Club uniform must be worn at rallies and when representing the club at internal and external events. suggestions about rally coaching these are to be forwarded to the head coach in writing or submitted via the 'Suggestions' box inside the clubrooms. Use the suggestions box in the clubrooms to provide feedback. Any urgent or serious concerns should be addressed in writing to the president or vice-president. You must have done 3 ridden rallies to compete in our closed events. The rallies must have been on the mount you wish to compete on. 15.4 Rally Attendance for Examinations and Competitions: The Riding Member must have attended a minimum number of working rallies in the twelve (12) months preceding the examination date or closing date for entries to inter Club, inter Area, National or International competition. a. Riders who do not hold a certificate must attend a minimum of five (5) working rallies. Three (3) of these attendances must be the combination of rider and mount that are sitting the examination or entering the competition. b. Riders who hold a D or D+ or C certificate must attend a minimum of five (5) working rallies. Three (3) of these attendances must be the combination of rider and mount that are sitting the examination or entering the competition. c. Riders who hold a C+ certificate must attend a minimum of four (4) working rallies. Two (2) of these attendances must be the combination of rider and mount that are sitting the examination or entering the competition. d. Riders who hold a B or H and A certificates must attend a minimum of three (3) working rallies. One (1) of these attendances must be the combination of rider and mount that are sitting the examination or entering the competition. Riders may qualify more than one mount with the required number of rallies for each horse. If something happens to the horse or rider you must apply for a dispensation to compete at a District or Area competition with an un-qualified rider or mount. This must be in writing setting out the reasons and presented through your Head Coach to the branch committee who will consider dispensation at the next district or area meeting. Bad language, excessive use of whips or spurs, or cruelty to horse/pony will not be tolerated under any circumstances. The rider must have completed the required rallies for their certificate level. Please check NZPCA rules for your level. When sharing arenas/jumping areas etc. There is currently no grounds booking requirement for members, however members are expected to share facilities and amenities. If you have booked private lessons, that does not entitle exclusive usage and you are expected to accommodate other members who wish to use facilities at the same time. If you require exclusive use of an area for lessons, you need to set up an area (not in the grass arena) with equipment required and replace it afterwards. PC members take precedence over adult riders at all times. Within reason you should leave jumps in a similar formation (not necessarily the same height) as you found them with all poles lifted off the ground. The wearing of gumboots is not permitted for riding at any rally. Rowelled (sharp) spurs are not permissible. Any ponies or horses that kick or are likely to endanger other horses/riders must have a RED RIBBON tied to the tail. All horses must be under control at all times. Owners of dangerous or unruly horses will be told to remove them. Stallions and horses under 4 years are not permitted on Pony Club grounds during rally time. They are permitted in the arena and enclosure during pony club's allocated times. Report to your coach before joining a ride if you are late. If you have to leave early, do the same. There are to be no loose horses in the enclosure at any time. Back protectors must be worn when jumping cross country. No jumping without supervision. All hay and horse dung must be removed and taken home with you. No show jumping poles are to be left on the ground at any time. All accidents on the grounds must be reported to the club's health and safety manager.